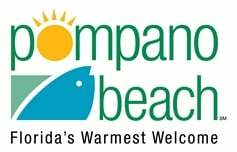 Are you ready to have fun in the sun when moving to Pompano Beach? This city is a great place to live, no matter if you are a student, or a family, a corporation, or a small business owner. In any way, if you are planning to hire a Pompano Beach moving service, you are in the right place. Easy Florida Moving is a professional relocation company, that offers local and long-distance moves, along with many other, all-inclusive opportunities. Easy Florida Moving offers a wide variety of services. We are happy to admit that our clients experience the best, worry-free move when they hire us. The endless number of things we will make happen during your relocation will leave you with absolutely nothing to do, besides enjoying yourself and the company of your family and kids. Local, cross-country, commercial and residential moves. Easy Florida Moving will handle everything, without any hesitation. All-inclusive service is provided, meaning, we handle all the labeling, loading and unloading, packing and unpacking, of course. You do not even have to worry about disassembling anything – we will just take care of it. We offer Pompano Beach furniture delivery. Our packers will also assemble it for you. Easy Florida Moving is one of the few moving businesses that have their own Sometimes you can find yourself in a situation when you do not have the new place ready before moving in. This is when we come in. Our punctual team of movers will make sure that they will arrive during the time you agreed upon. We are licensed and insured movers in Pompano Beach, and this will help you keep the peace of mind when you are working with Easy Florida Moving. When it comes to our biggest assets – our clients, we want you to have headache-free experience. Therefore, we are available 24 hours a day and every day, including the weekends! When calculating the price of the move, we will not shock you with any unexpected moving costs. There is no surprise, that most of the South Florida moving companies practice this, but not Easy Florida Moving. With us, you can rest assured that you will get the Flat Rate Quote we agreed on at the time of evaluation. We know the business of moving. No job is too small or big for us, and we are ready to make it happen. Our wonderful movers are unmatched, our service is unparalleled, and our attitude is positive. Easy Florida Moving should be the company of your choice, your mover, your helping hand. Give us a call to estimate your moving costs for free!